LEXINGTON & CERESCO, NE—Emergency responders in four Nebraska communities will now be better equipped to help someone engulfed in grain, thanks to significant contributions from local corn grower associations. Grain bin rescue clinics sponsored in part by the Nebraska Corn Growers Association (NeCGA) were held earlier this week in Lexington and Ceresco. Around 100 farmers and emergency responders attended the clinics to learn about grain bin safety and how to assist someone engulfed in grain. 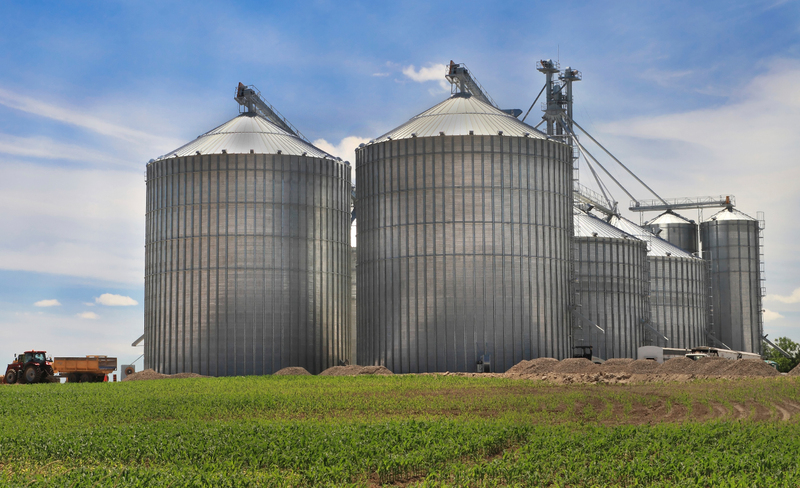 “On-farm safety is a major focus of the Nebraska Corn Growers Association, so we want both farmers and emergency responders to understand how to avoid grain bin accidents—and how to help someone who does end up in trouble in a grain bin,” said Joel Grams of Minden, president of the Nebraska Corn Growers Association. In addition to training and information at the clinics, local corn growers raised money to provide grain bin rescue tubes to local emergency response groups. The tubes are devices designed especially for protecting and extracting a person engulfed in grain. In Lexington, the Dawson County Corn Growers raised money to purchase two grain rescue tubes which were donated to the Lexington and Cozad fire departments. Last year, the growers donated a tube to the Gothenburg fire department. Three grain rescue tubes were donated during the clinic in Ceresco. One each was given to the fire departments in Yutan and Wahoo. The third was given to the State Fire Marshall’s office for use as a training tool in Nebraska. That tube will be housed in Madison, Nebraska when it’s not being used for training purposes. Sponsors of the clinics included GSI, DuPont Pioneer, Big Al’s Bins, Peterson Ag, Nebraska Corn Growers Association, the Nebraska Corn Board, Dawson County Corn Growers, Saunders County Corn Growers, Saunders County Soybean Growers, Frontier Coop and several other local businesses. “Farming is not only one of the hardest jobs in America, it’s also one of the most dangerous. Across rural Nebraska, you will see plenty of grain bins, which farmers use to store their crops. Many will tell you these seemingly harmless grain bins can quickly become a deathtrap.